For the first time in 155 years, we now completely own our house. Starting in 2016, our alumni association began fundraising for a new house. October 12th 2017 - the alumni association bought the St Francis Academy located at 311 Congress Street. The St Francis Academy is a historic building built in 1917. It first functioned as a school and then as a tailor shop with rental apartments. The building has a total of 14,500 sq. ft., approximately 4,200 sq. ft. per floor. Our new house will be located closer to campus than our current location in RAHPS as well as not far from downtown Troy. We will also have Prospect Park directly across the street. There is plenty of parking available due to an empty lot across the street on 13th Street. The living spaces have been designed with constant undergraduate input. The ground floor consists of common areas - kitchen, dining room, library, media and game rooms. The first floor contains the main living areas: mostly singles with some doubles. Each room has ethernet connectivity. Additionally, there is a lounge area and a small kitchenette. There is living space for at least 28 brothers. The second floor contains apartments that can be rented out to recent graduates and alumni who stay in the area. Link to regular construction updates with pictures! 2016 Fundraising for a new house begins - ends up raising $1.28 million! Jan 2020 Planned full move-in, new house fully occupied! The main hall on the ground floor. 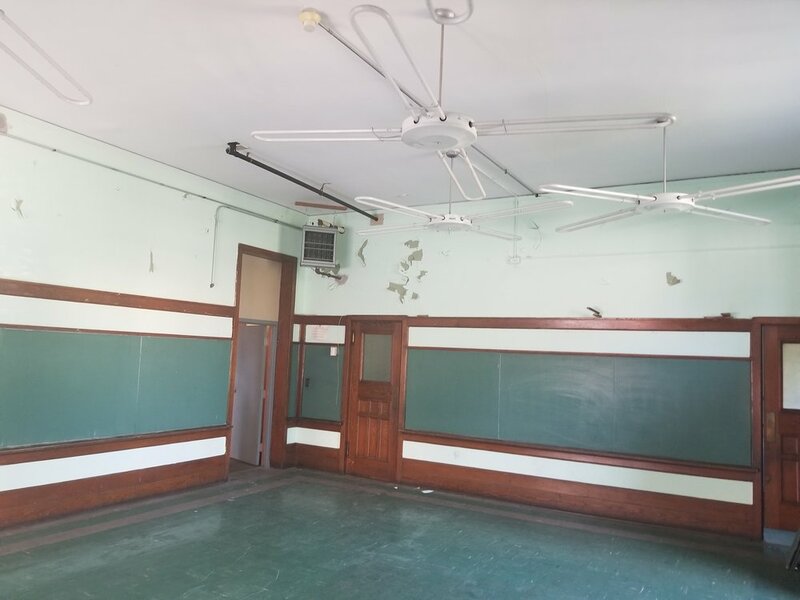 One of the classrooms with old chalkboards. A picture of the very scary looking basement. One of the apartments on the second floor. Masonry repairs being done on the exterior. The exterior after masonry work was finished. The main hall after demolition. Alumni, thank you for all of your contributions to this project. We are all very excited for our new house.